We are Tonium®. We’re all about music. And music is all about dedication, creativity, self-expression and mutual exchange between people. We’re out to try something different. We want to bring us all closer to the music we love, and closer to the music we don’t yet know we can’t live without. With all the functionality of a professional set-up Pacemaker is the first product in the world that truly brings deejaying to the masses and right into the hands of the next DJ generation. 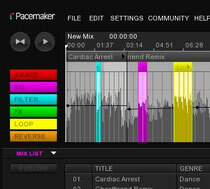 Pacemaker's two independent audio channels let you play two tracks side by side. Beatmatching is easily done by the click of a button, and with a full set of professional audio effects and a crossfader you now have unlimited creative influence over your music. 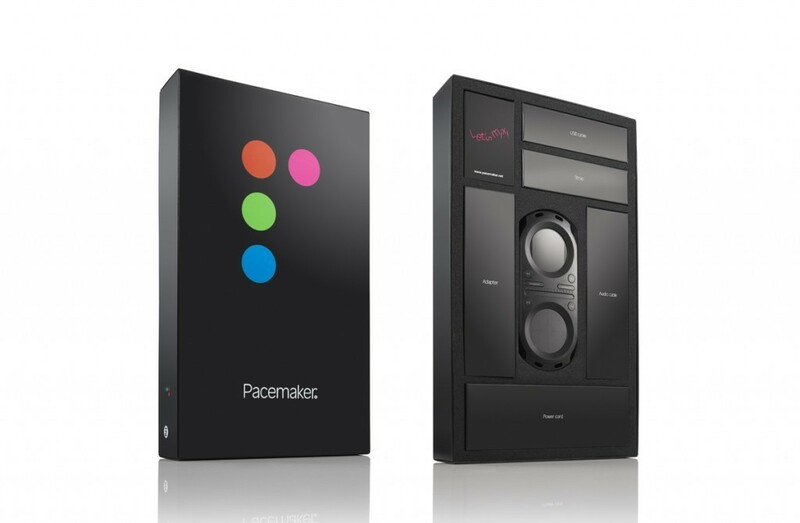 The features and the performance of Pacemaker makes it the perfect mixer for any situation. 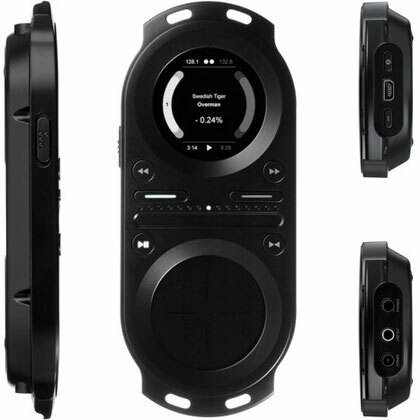 Pacemaker can be used for practicing your DJing or for preparing your set on-the-go. Connect the lineout jack to an amplification system and you're ready to perform with full control in your headphones. Pacemaker even lets you save your mixes and spread them across the digitized universe. Any mix can be saved on your Pacemaker. 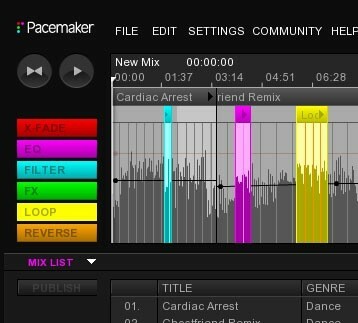 When transferring your mixes to your computer, you can edit and refine your mixes as you like with the free desktop application, Pacemaker Editor. When you're ready, go ahead and upload your mixes to our mix community and let anyone listen anytime. Pacemaker's multiple award-winning hardware is designed to deliver in every aspect of DJing. This innovative compact system is tailor-made for all-the-time readiness--on the road, at the club and the afterparty--wherever, whenever, ready when you are. 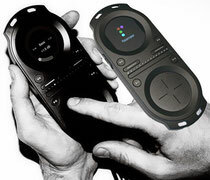 Pacemaker's extensive functionality gives you full control over your mixing right in the palm of your hand. The reliability and ease of use of Pacemaker follows the same intuitive workflow as industry-standard machinery, and is now also featuring the innovative new software taking the prospects of portable DJing even further. Everything you ever wanted to do with your music is now totally seizable. "It’s the most beautiful product I have seen this year, for sure." "Pacemaker sends my heart racing. I like its design so much!" " It is to music lovers what the pen is to the writer and the brush to the painter…"